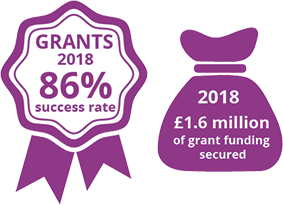 Grants are available to stimulate participation in European collaborative research by Welsh-based organisations, particularly SMEs and HEIs. The Welsh European Funding Office (WEFO) is part of the Welsh Government. Its Horizon 2020 Unit provides advice and support to organisations looking for research and development funding from the European Union.